HAND IN HAND IS NO LONGER ACCEPTING GUEST REGISTRATIONS AS WE HAVE REACHED OUR CAPACITY. WE APOLOGIZE FOR ANY INCONVENIENCE. WE ARE STILL ACCEPTING VOLUNTEERS. 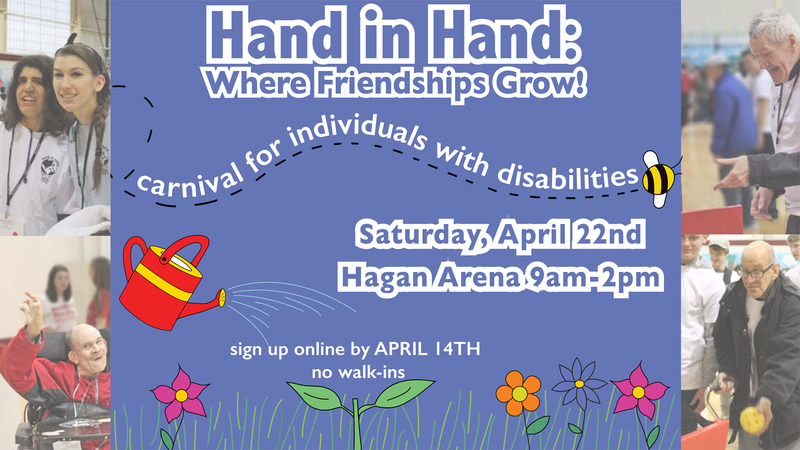 Sign up to attend Hand in Hand’s 43rd Anniversary carnival on April 13th! Sign up to attend here! For participants under the age of 18, contact handinhandhawks@gmail.com to sign up! All registration must be submitted by March 30th, NO WALK-INS. Volunteer arrival 8:30-8:45am. Guest arrival 10am. 2pm departure.